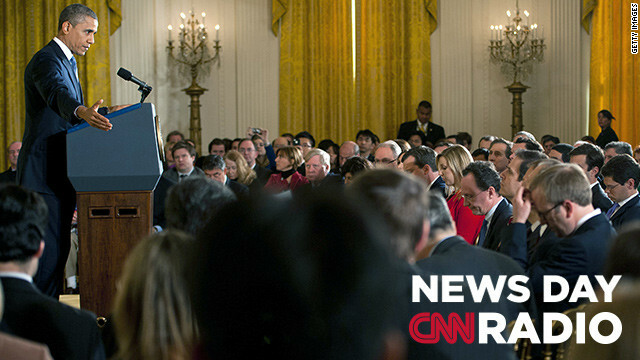 U.S. President Barack Obama speaks to reporters during a news conference at the White House in Washington, DC. "When [Republican Senators John McCain and Lindsey Graham] go after the U.N. Ambassador, apparently because they think she's an easy target, then they've got a problem with me," President Obama said. "They ended up targeting and eliminating a very important individual. And Hamas obviously cannot – will not – let this go unchallenged." "Why was the security at the consulate so inadequate? Why were U.S. armed forces in the region not ready and positioned to respond rapidly to what was a relatively forseeable emergency? Why did senior administration officials seek to blame a spontaneous demonstration for the attack in Benghazi? "